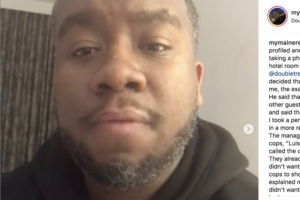 Jermaine Massey posted videos on Instagram explaining what took place at a hotel in Portland, Oregon on Dec. 23, 2018. 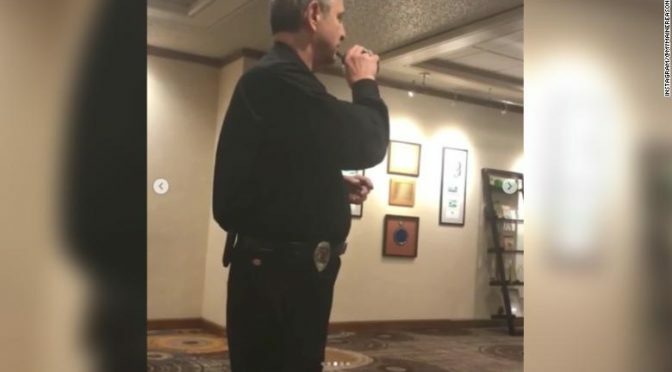 The DoubleTree hotel in Portland, Oregon that was at the center of controversy, fired two employees it says were responsible for calling the police on a black guest while he was talking on the phone in the lobby. 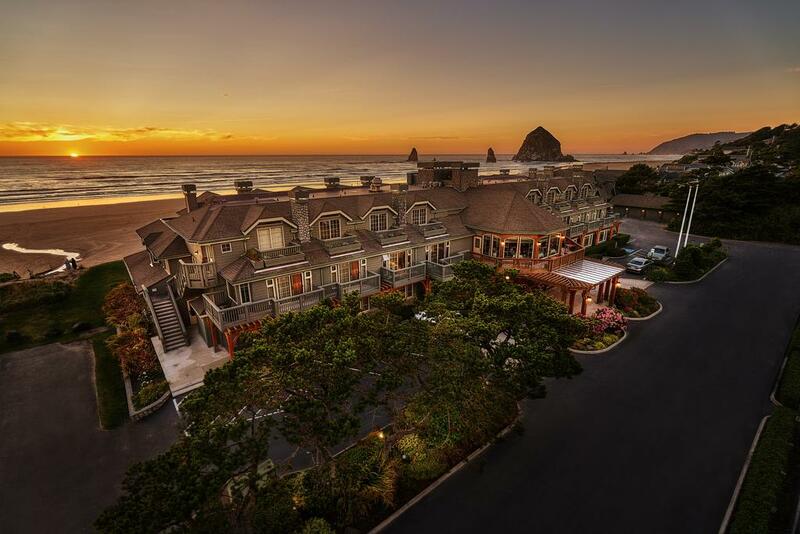 Offering the comfort and elegance of a boutique luxury hotel, the oceanfront Stephanie Inn invites you to retreat, relax and indulge yourself in beautiful Cannon Beach, Oregon. 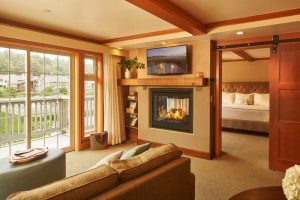 With a full range of spa services, specialty experiences and classes, and the finest Pacific Northwest cuisine on the Oregon Coast, your time with us will be unforgettable. About 80 miles from Portland, Haystack Rock on Oregon’s breathtaking North Coast has been a beacon for generations. 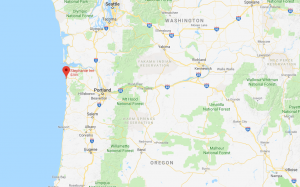 Before Highway 26 connected to coastal Highway 101, intrepid travelers would journey for seven hours to reach Cannon Beach – a trip that included the Ecola Toll Road and its 111 hair-pin curves between Seaside and Cannon Beach. 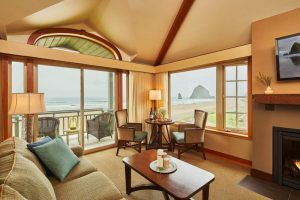 Nestled between the ocean to the west and the Coastal Range of the Cascade Mountains to the east, Cannon Beach was stunning, hard to reach, and summer home to the many beach souls who sought welcome relief from the heat, noise and traffic of big city life. 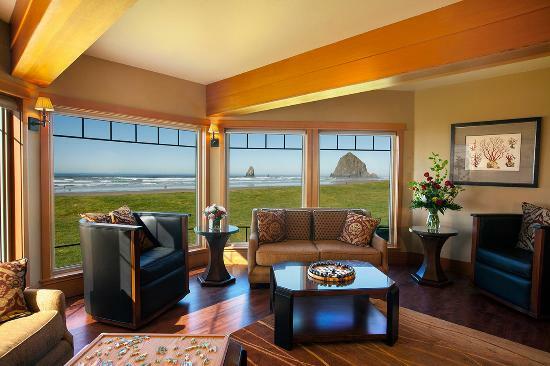 Today, people from all over the world come to Cannon Beach for the same reasons. 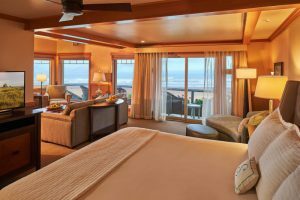 Hoteliers Jan and Steve Martin had long envisioned a place on the coast that would serve as a real beachfront retreat – more luxurious than their family‐oriented Surfsand Resort, four‐diamond lodging including massage services and gourmet dining. Named after their daughter Stephanie, this iconic inn was opened in 1993 and has become the definition of luxe coastal hospitality. We invite you to retreat, relax and indulge yourself. 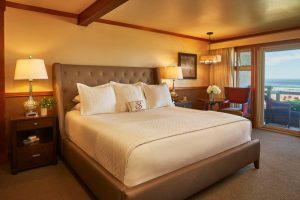 With a full range of services, special guest experiences, and the finest Pacific Northwest cuisine on the Oregon Coast, your time with us will be unforgettable. 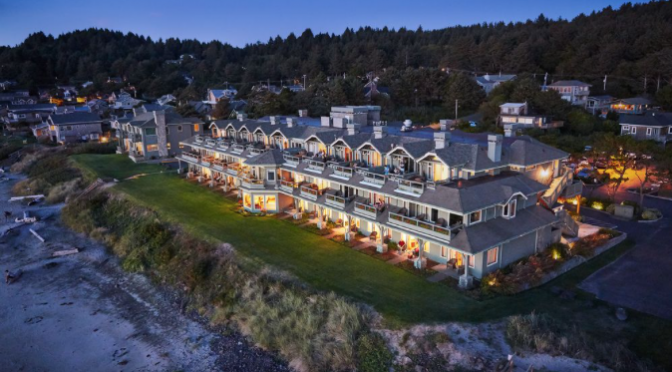 Come discover why this beautiful coastal inn remains an enduring Northwest icon. Oceanfront Corner Suite Second floor, king bed, queen sofa sleeper, dining area, Jacuzzi Pure Air bath, steam shower, gas fireplace, wet bar and balcony. 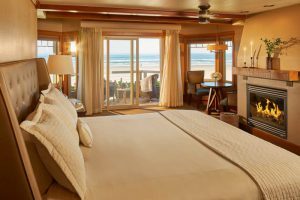 Oceanfront Room First or second floor, king or queen bed, Jacuzzi Pure Air bath, shower, gas fireplace, wet bar and patio or balcony. Oceanfront Dormer Room. 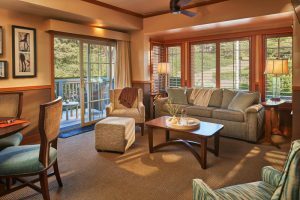 Third floor with dormer-style ceiling, king bed, queen sleeper sofa, Jacuzzi Pure Air bath, shower, gas fireplace, wet bar and large balcony. 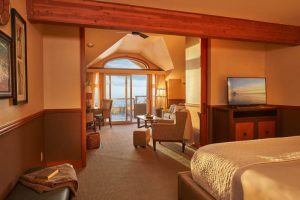 Oceanfront Dormer Suite Third floor with dormer-style ceiling, king bed in bedroom, queen sleeper sofa in living room, dining area, Jacuzzi Pure Air bath, shower, gas fireplace, wet bar and large balcony. Oceanfront “Janice Kay” Room. 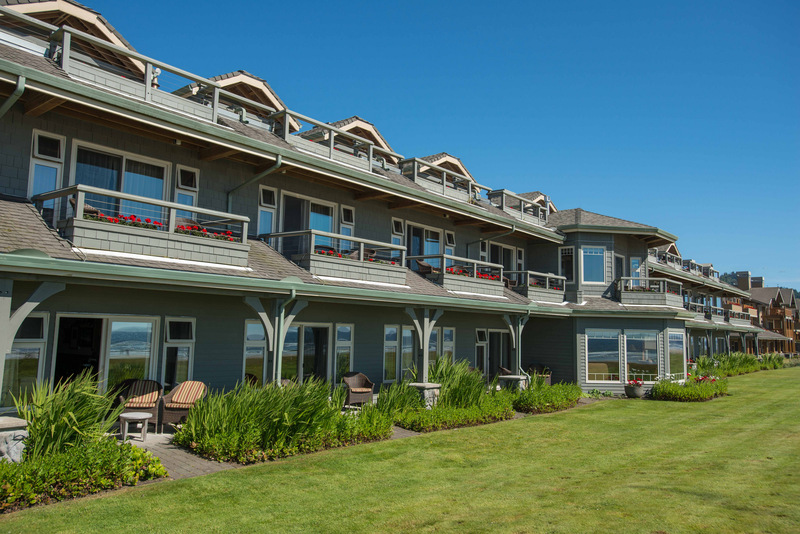 Second floor, king bed, panoramic ocean view, Jacuzzi Pure Air bath, shower, gas fireplace, wet bar and balcony. 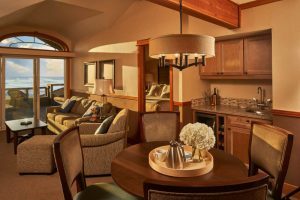 Oceanfront Premier Suite. 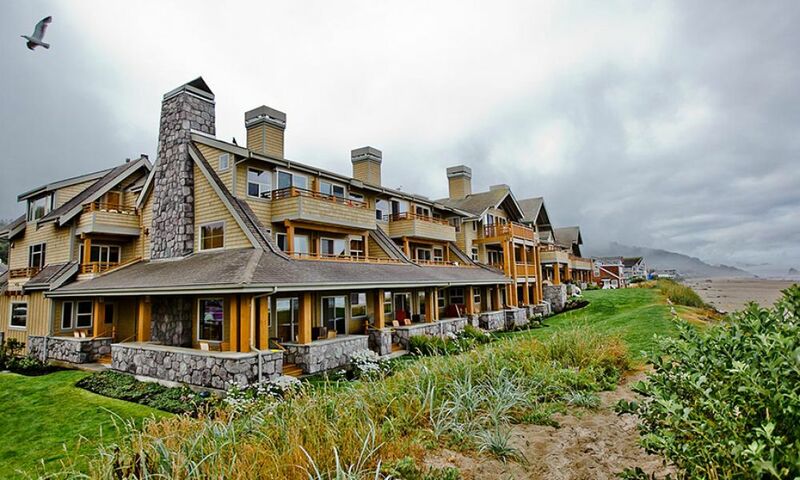 Third floor, king bed, Jacuzzi Pure Air bath overlooking the ocean, steam shower, gas fireplace, wet bar and large balcony. Oceanfront Mini King. 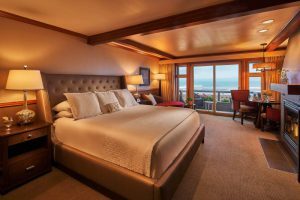 First or second floor, king bed, Jacuzzi Pure Air bath, shower, gas fireplace, wet bar and patio or balcony with limited oceanfront view. Oceanfront Carriage House. 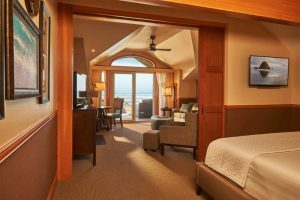 Located adjacent to the Stephanie Inn, the Carriage House offers the same amenities as the Inn with magnificent views of the Oregon coastline. First and second floor, king bed in bedroom, queen sleeper sofa living room, Jacuzzi Pure Air bath, shower, gas fireplace, wet bar and patio or balcony. 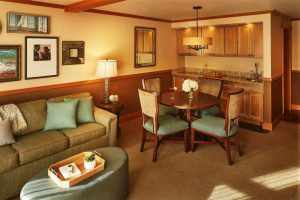 Mountain View Suite. First or second floor, king bed in bedroom, queen sofa sleeper in living room, 1 1/2 baths, Jacuzzi Pure Air bath, shower, gas fireplace, wet bar and patio or balcony. 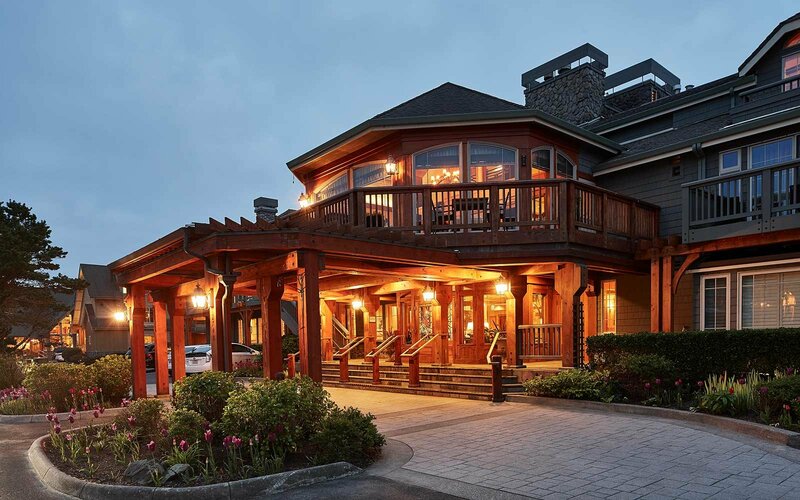 Mountain View Corner Suite Second floor, king bed in bedroom, queen sofa sleeper in living room, 1 1/2 baths, Jacuzzi Pure Air bath, shower, gas fireplace, wet bar and wrap-around balcony with limited ocean view. Mountain View Barrier Free. First floor, king bed in bedroom, queen sofa sleeper in living room, 1 1/2 baths, Jacuzzi Pure Air bath for one, barrier free shower, gas fireplace, wet bar and deck.